Bounce Gym & Injury Clinic, South West London's finest performance facilities are at the forefront of training, treatment and rehabilitation. Born in the belief that everyone should have access to the tools only previously available to the professional athlete, we take pride in welcoming all ages and abilities into a friendly and professional environment. By combining the most effective strength & conditioning and performance training methods with a cutting-edge treatment and rehabilitation clinic, we help members and non-members alike achieve their physical best. Found in the heart of Wimbledon Park, our site boasts 10,000 sq. ft. of world class performance equipment. The gym is set up to accommodate those who are new to exercise all the way through to professional athletes. Our on site injury clinic offers treatment and rehabilitation of highest level to members and non-members alike. Located on New Malden High Street adjacent to Waitrose, our newest site boasts 12,500 sq. ft. of world class performance equipment. This gym is also set up to accommodate those who are new to exercise all the way through to professional athletes. Our on site injury clinic offers treatment and rehabilitation of highest level to members and non-members alike. At Bounce, our team of professionals excel in creating bespoke training and rehabilitation plans. Our personal trainers, strength & conditioning and performance coaches work hand-in-hand with our expert clinicians to tailor their personal training programming specifically to the needs of the individual. Through our specialist approaches and state-of-the-art equipment, we deliver personal training excellence in order to help you attain and maintain your peak physical condition. Treating you as a professional athlete involves being looked after by a team of experienced and highly qualified professionals, but remember; you don’t have to be a professional athlete to be treated like one. 6 week bespoke Nutritional plan - Lifestyle review - Email support - Follow-up session at 6 weeks - A new you! Let us build a nutritional plan that works for you! Our 6 week nutritional plans aim to help and educate you which will allow you to make sustainable progress by developing healthier dietary habits that will transform the way you look, feel and perform. Firstly, you will be asked to complete a health and lifestyle questionnaire as well as a 3 day food diary for assessment. With this we will provide you with a detailed review on your nutritional habits and lifestyle and design a 6 week nutrition plan based on your goals, preferences and daily routine. Following this, you will have regular follow-ups with our Nutritional therapist to keep track of any habit changes and strategies you have implemented, with further guidance for how to optimise your nutrition. After the initial 6 weeks you will receive a follow up session to discuss your progress and help identify exactly how to direct your next 6 week plan. Harri has over 15 years in the health and fitness industry, working as a Nurse prior to a career in coaching and nutrition. Harri will guide you through a bespoke nutrition plan tailored to meet your needs whether that's facilitating weight loss, optimising body composition or generally improving overall health and well being. All programmes will be designed to implement manageable habit changes through a holistic approach to lifestyle and nutrition. 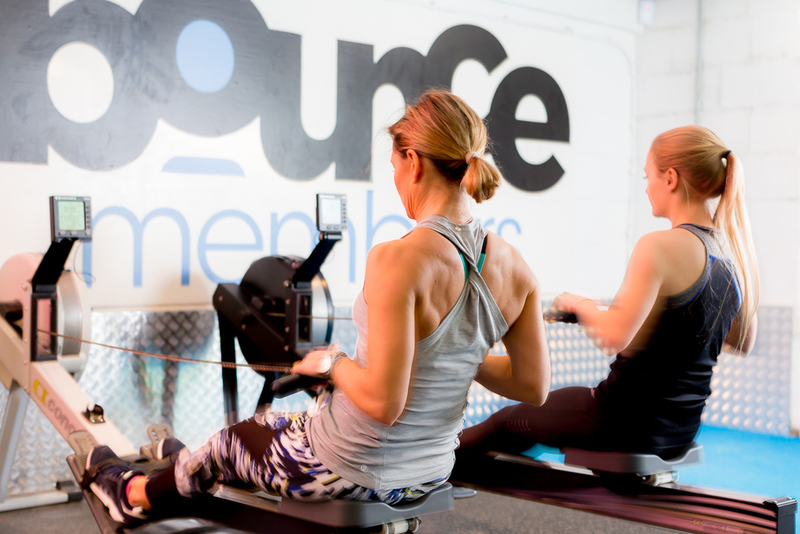 Harri also runs many of our women group training sessions such as the popular BounceFit classes and Bounce Women. Our strength & conditioning and performance staff work hand-in-hand with expert clinicians, using state of the art equipment to deliver personal training excellence. 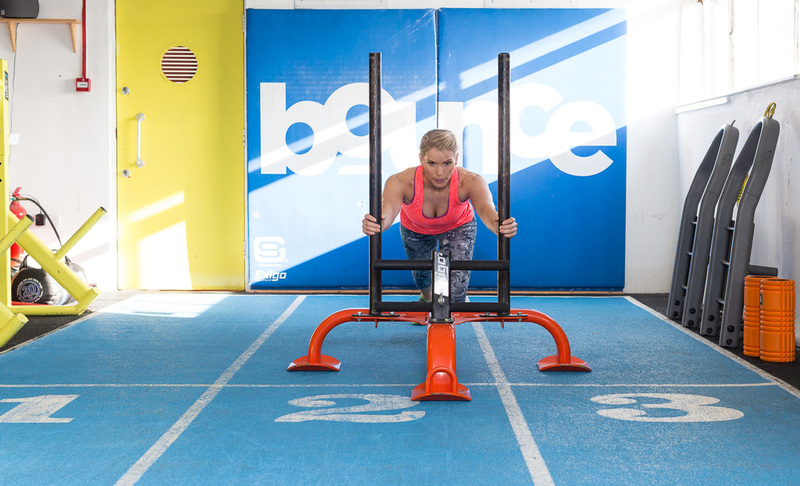 Bounce gyms are unique performance facilities at the forefront of training, treatment and rehabilitation. Born in the belief that everyone should have access to the tools only previously available to the professional athlete, we take pride in welcoming all ages and abilities into a friendly and professional atmosphere. By combining the most effective strength & conditioning and performance training methods with a cutting-edge treatment and rehabilitation clinic we help members and non-members alike to achieve their physical best. We understand the technical importance and extra motivation that comes with instructor-led group training classes. Work towards your goals in a fun, safe environment with correct technique and work without the risk of injury. All classes are free to our members and non-members are also welcome on a PAYG basis. The Bounce Performance Academy (BPA) offers young athletes (9-14yrs) a unique training experience, using systems and methodologies that are ordinarily only offered to elite athletes who perform at the highest level of sport. Participants are exposed to cutting edge training methods that are proven to enhance athletic performance across a range of movement skills.